Kate Cheney Chappell attended Chatham College and studied painting, etching and literature at the Sorbonne and L’Atelier Goetz in Paris. She is a 1983 graduate of the University of Southern Maine. A landscape painter for over 30 years, her more recent work combines printmaking techniques, collage and installation and reflects her deep concern for the natural world. Her exhibit, “One Artist’s Response to Rachel Carson” marking the 50th anniversary of Silent Spring, opened in Pittsburgh at Chatham University in September, 2012. Kate’s work has also been shown in the Portland Museum of Art (2010), and New Britain Museum of American Art (CT 2008 solo exhibit). Her art is in the collections of the New York Public Library, the University of New England, Colby, Bates and Bowdoin Colleges, and the New Britain Museum of American Art. She was one of 51 women artists chosen for the recent “Maine Women Pioneers” exhibit at the University of New England. Inspired by Book Arts courses taught by Rebecca Goodale, Kate founded the Kate Cheney Chappell’83 Center for Book Arts at USM in 2006. She serves as Chairman of its Advisory Board. Kate and her husband are co-founders of two environmentally sustainable companies, Tom’s of Maine and Ramblers Way Farm. A member of Peregrine Press and Women Artists of Monhegan Island, Kate is represented by Mast Cove Gallery in Kennebunkport and Lupine Gallery on Monhegan Island, Maine. Sissy Buck earned a B.A. in Art History with a minor in Studio Art from Wheaton College in Norton, MA. After graduation she continued studies in printmaking at the School of the Museum of Fine Arts in Boston, the DeCordova Museum School in Lincoln, MA, and Montserrat College of Art in Beverly, MA. Most recently, she has been captivated by Book Arts, studying at USM and the Stone House Summer Program. Before moving to Maine 8 years ago, Sissy Buck owned and directed the River Gallery in Ipswich Ma. She has served on numerous non-profit boards and currently is on the boards of the Horizon Foundation in Portland and the Monhegan Artists’ Residency Corp. Sissy Buck is a member of the Peregrine Press in Portland and the Monotype Guild of New England. Her work is in the collections of the Maine Women's Writing Center at UNE, UNE Art Gallery Permanent Collections, Bowdoin College Museum of Art, Colby College Museum of Art, the Portland Museum of Art, and the New York Public Library. 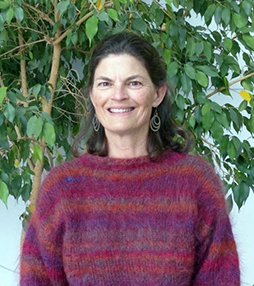 Karen Adrienne is a working artist, Professor of Art at the University of Maine at Augusta, and art entrepreneur. She is founder and owner of Artdogs Studios, and Circling the Square Fine Art Press in the historic district of the small rural New England town of Gardiner, Maine. Artdogs Studios houses five artists day studios, and one artist’s residence. Circling the Square Fine Art Press is a non-toxic studio and a gallery for display of members’ work. The press has participated in numerous exhibits in Maine, and international print exchanges with Solisquoy Press in Orkney Scotland, 2009, 2010, and Fundación Estampería Quiteña in Quito, Ecuador. 2016. Karen’s primary medium is printmaking with an emphasis on monotypes. Karen’s imagery most often reflects the natural environment, and she uses a unique reciprocal process of folding and printing two images at one time on press. Her most recent work reflects her concern for, and appreciation of water. Karen also integrates bookmaking in both her teaching and art practice. Master bookbinding artist David Sellars in London introduced her to artist’s books through classes in traditional bookbinding. She has received numerous grant and awards for her work including a NEA & Arts International Grant, a New England Foundation for the Arts Fellowship, as well as numerous Artist Residencies including the Karl Hoffer Society in Berlin, Germany, and the Fundación Valparaiso, Mojacar, Spain. She is a member of the Boston Printmakers and has recently had her work published in the Creative Quarterly No. 32 Journal of Art and Design, the Maine Arts Journal, UMVA Quarterly and. Palate to Plate, Prints and recipes from members of The Boston Printmakers. Bonnie holds a BS in Art Education and a Minor in Book Arts from USM has focused on glass and book art for the past 20 years, teaching at Bowdoin College, Haystack Mountain School of Crafts and at her own galleries and studios in Maine. Bonnie's work has always centered around mandalas. Her designs are both spiritual and autobiographical. She has drawn one a day for over 20 years. She has created mandalas in several mediums, but her current mediums are fused glass and artist's books. She displays her work at White Cap Grille, the restaurant she owns with her husband in Portland as well as at Wholly Crow Gallery in Biddeford and at Figureworks Gallery in NYC. Bonnie is also a member of the KCCCBA Book Critique group. 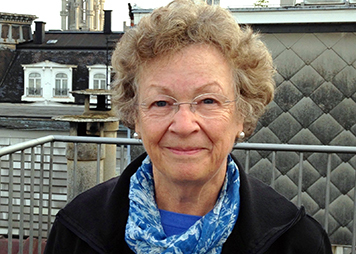 Sue Rogers was the Director of IT at Saïd Business School, the University of Oxford, in 2012 and 2013. She is a specialist in complex projects involving organizational change and new technologies. 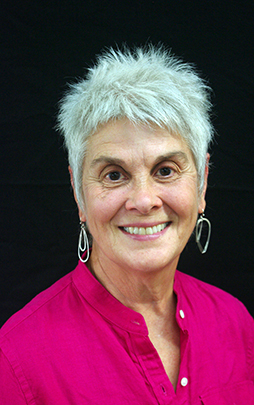 Sue has more than 25 years experience in higher education administration. She has also worked as a consultant to museums, and nonprofit organizations. Sue led groundbreaking IT initiatives at Harvard Business School and Harvard University starting from the beginning of the Internet era. Earlier she was responsible for campus planning, real estate and construction at Harvard Business School, and was the Director of HBS Executive Education Programs. Sue is a former member of the School of the Museum of Fine Arts, Boston Board of Governors. 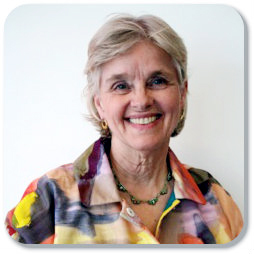 She is currently a Trustee of the Maine College of Art and a member of the Board of Overseers of Historic New England. Since moving to Maine in 2008 she has studied Book Arts with Rebecca Goodale at USM and is a current member of the KCCCBA Critique Group. Two of our founding and advisory board members, Elizabeth Baird and Domenica Cipollone, have retired from the board.